Supporting CTKG Ella’s Platform by Showing Respect for All Students Activity– New! Support 2019 CTKG Ella’s Pride-Hope-Love platform by having your student share their ideas for showing respect! This activity is adapted for the classroom from Ella’s Inauguration Day activity. The Connecticut’s Kid Governor® 2019-2020 Toolkits are coming soon! The Toolkit for Classes Nominating a Candidate and Voting* is for classes/schools that will be nominating a student for consideration in the 2018 Statewide Election (one nominee per school). The Toolkit includes lessons about Connecticut’s three branches of government, the role of the governor, the history and process of voting, leadership, identifying and researching important community issues, developing campaign platforms and speeches, filming your nominee’s campaign video, and analyzing campaign videos. CLICK HERE to download. The Toolkit for Voting-Only Classes* is for classes/schools that will only be voting in the Statewide Election (not nominating a student). This Toolkit is a condensed version of the Toolkit for Classes Nominating a Candidate and Voting and includes lessons about Connecticut’s three branches of government, the role of the governor, the history and process of voting, leadership, and analyzing campaign videos. CLICK HERE to download. Analyzing Campaign Videos and Speeches Worksheet – Students will use this worksheet to evaluate the candidates’ platforms and inform their vote during the election. Statewide Election Candidates– The campaign videos for the final seven candidates in the 2018 Statewide Election. 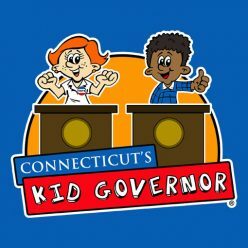 2018 Statewide Election Ballot – Students will use this ballot to cast their vote for the 2019 Connecticut’s Kid Governor®. Please note that completed paper ballots do not need to be returned to Connecticut’s Kid Governor/Connecticut Democracy Center. Rather, registered teachers will be emailed a link to the Vote Submission Form for submitting final vote counts. Media Kits– This document includes useful and simple information that will help teachers promote your schools, the CTKG program, and your schools’ participation in the Statewide Election. Classes with a Statewide Election Candidate can download their Media Kit HERE. Voting classes can download their Media Kit HERE. Lessons 1-5 Assessment*- You requested it and we created it! This simple 10-question quiz can be used to assess student learning in the first 5 lessons of either Toolkit. Includes an Answer Key. CLICK HERE to download. 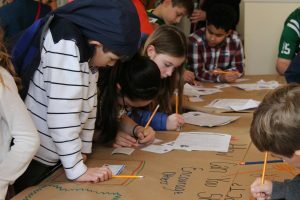 Program Overview*– Based on the Connecticut’s Kid Governor Program Overview from Enfield Public Schools, the new program overview gives suggested dates for lessons, lesson lengths, materials needed, additional resources, and tips and ideas for each lesson. CLICK HERE for the overview for Nominating and Voting Classes. CLICK HERE for the overview for Voting-Only Classes. Polling Place Activity– New! We’ve created a bonus lesson to help bring your students’ voting experience to the next level! The lesson guides your class through how a polling place works and helps them create their own voting area right in the classroom! *The Toolkit and other resources are provided as Adobe PDF documents. You can download Adobe’s free PDF Reader by clicking here. Register You Class to Participate! Resources and Statewide Election voting instruction will only be sent to classes that have registered to participate in the 2018-19 program. Registration is free and only takes a minute! Click HERE to complete the Participating Class Registration Form. 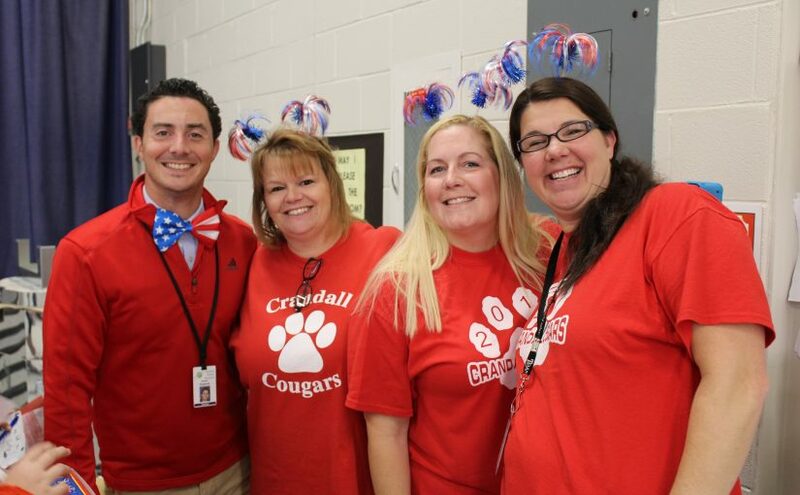 Nominating & Voting Classes: Download the Entry Forms for your school’s nominee! Parent-Guardian Permission Packet* – Send this letter home to parents/guardians to let them know that their child will be participating in the CTKG program this fall. CLICK HERE to download. To learn more about the Connecticut’s Kid Governor program, click HERE or the graphic below to “Play Back” or “Download” our introductory webinar (September 7, 2017) via the Cisco WebEx Webinar Platform. The Parent-Guardian Permission Packet HERE – We recommend that classes nominating a candidate send this letter home with students for family review and permission prior to the start of the Toolkit lessons. The Rules & Regulations, Entry Form and Photography & Media Release HERE – These are the official Entry Forms that must be submitted with your school’s nominee for the Connecticut’s Kid Governor Statewide Election! Certificate of Participation for School-wide Primary Candidates– New! Celebrate your school-wide primary candidates by presenting them with this certificate of participation! Download the certificate HERE. To learn more about the Connecticut’s Kid Governor program, watch the Welcome to Connecticut’s Kid Governor 2018-19 video on our YouTube page. Students at John F. Kennedy School in Windsor watch 2017 CTKG Jessica’s campaign video for inspiration about their own community issues. The nominees from Prudence Crandall School in Enfield give speeches to their fellow students during a school-wide primary. Future 2018 CTKG Megan casts her ballot at Brownstone Intermediate School on Election Day.